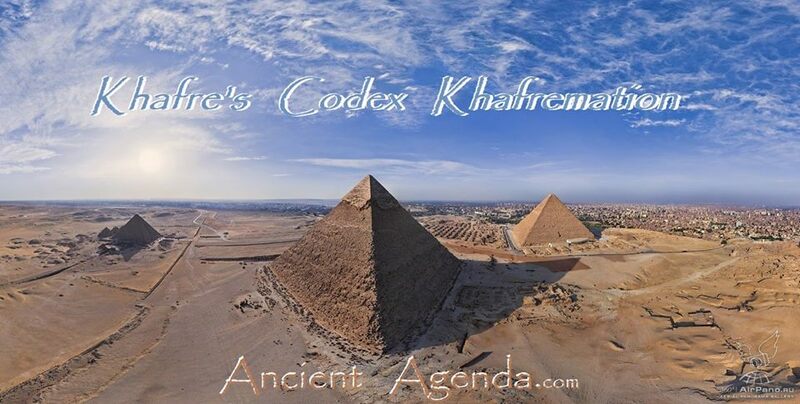 In light of Khafre's pyramid, it is severely overlooked in confirmation within the shadow of the Great Pyramid. 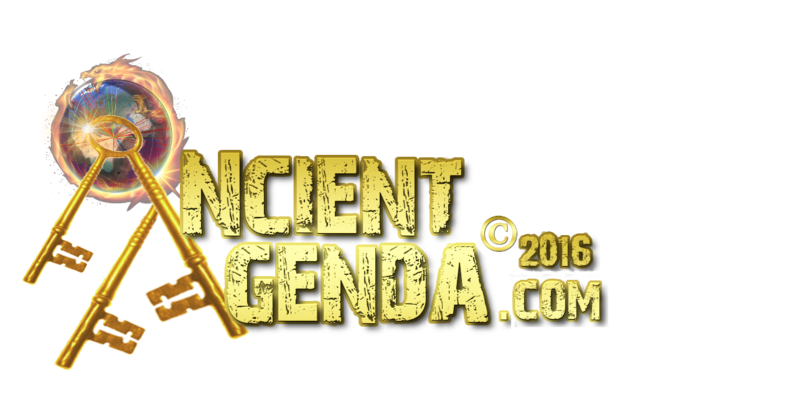 However in the grand plan to the Giza layout..even Menkaure details this codex, as does the entire site-plan. They all explain something in order to understand the complete message. 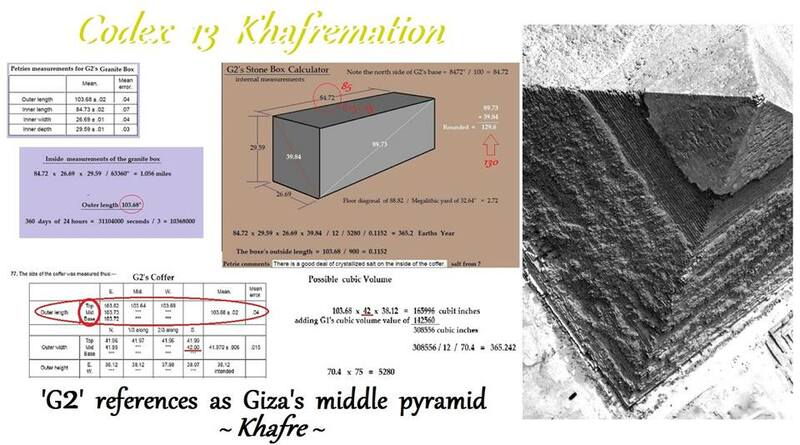 Now Khafre's original height given in Metric also has an addition value of 13; with a height of 143.5 meters. [1+4+3+5= 13] .. 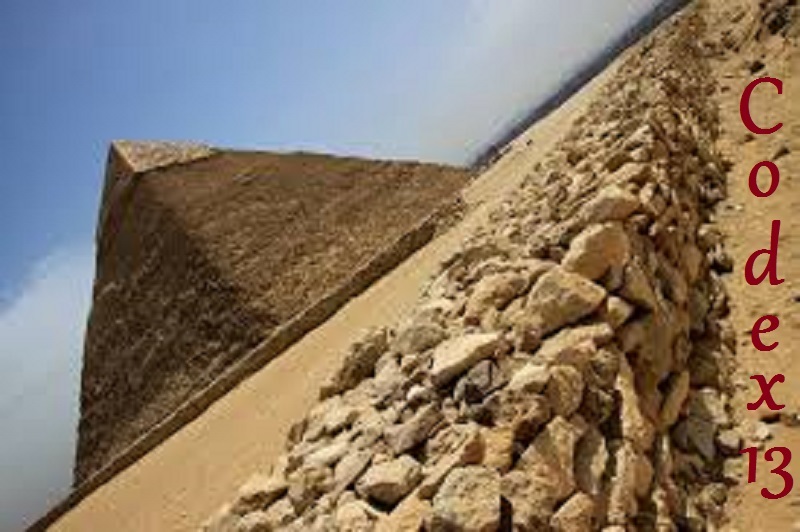 It is located at a distance of 175 meters [1+7+5=13} next to the Great Pyramid. This center pyramid's side-slope angle also gives us this detail with its angle at 53.13 Degrees. this equals 13 Imperial from cubits adding 2+7+4= Codex 13. 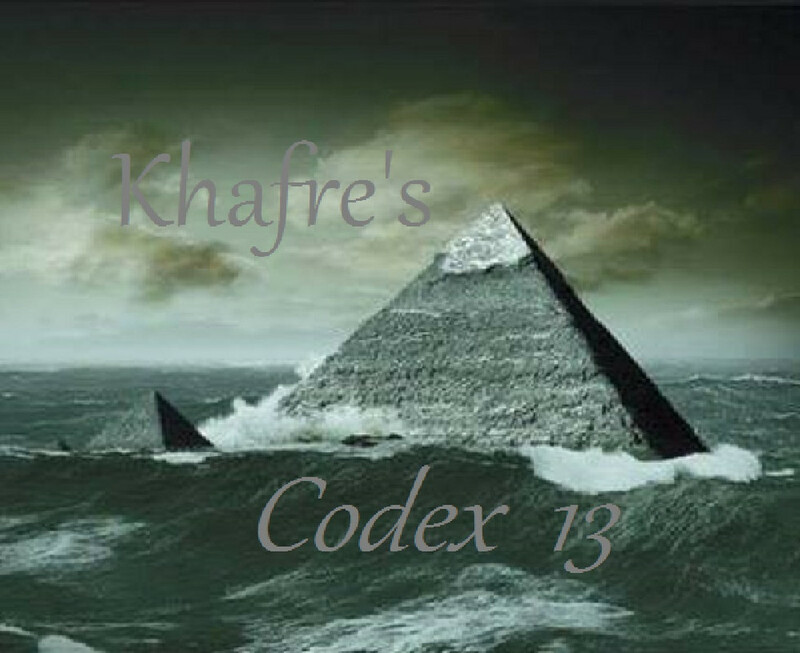 The Sarcophagus also demonstrates in various numeric values executing exact Khafremation to the ancient agenda's of coding the iconic number of 13 as calculated by historian sir Flinders Petrie, with an outer length of 103.68 inches. The inner length is 84.73 rounding up to 85 which 8+5=13. The outside 103.68 inches transfers in feet as 8.64 while the inside 84.73 transfers as 7.06008333 in feet. 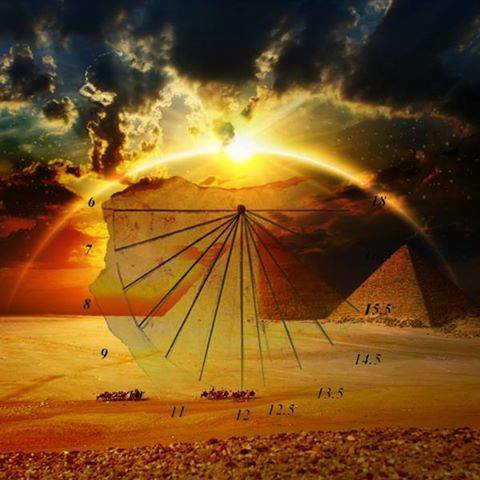 the number 33 is a 'swing' number on geometry's Protractor with a very important significance to Giza's Khafre pedestal pyramid revealing an 'arc-motion' that complies with Earth's processional axis tilt. 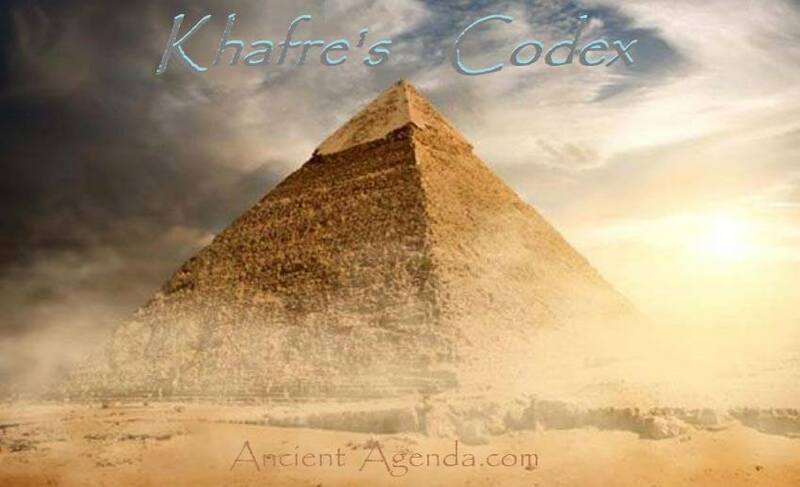 there is lighted Khafremation given to our Grandcestors Codex 13.